Yep, that's right, last month we released this tee and it sold out in a few minutes, one of the quickest selling tees we've done actually. And, due to demand, we've managed to get a restock in double quick time. 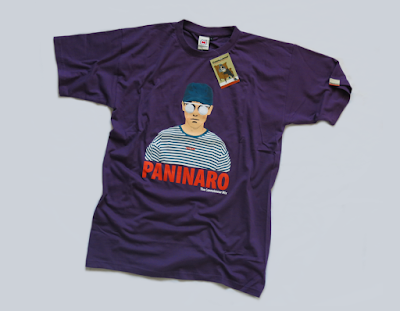 We've even got it on Navy now aswell as the Purple and White we did previously. 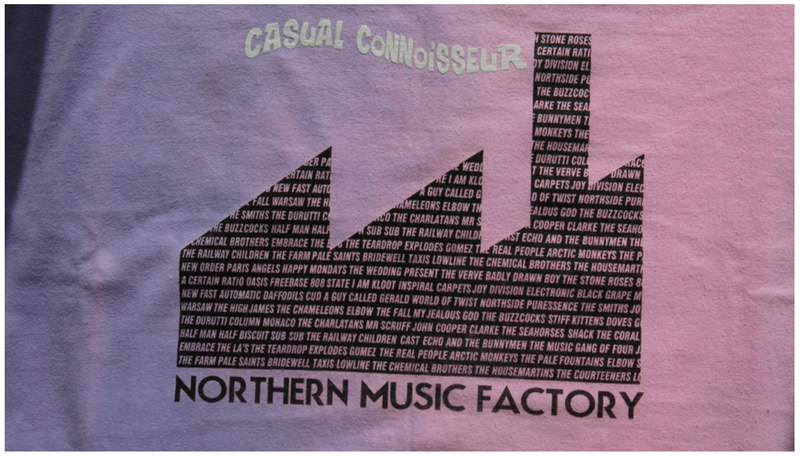 That's right the long running Northern Music Factory design f- a Connoisseur staple from day one, has had a new edition, this time on our rather remarkable heat reactive tees. Basically, if you missed our Osti and Pigeon tees previously - this means they change colour when reacted with heat, these look superb and as always, it's something a little bit different. 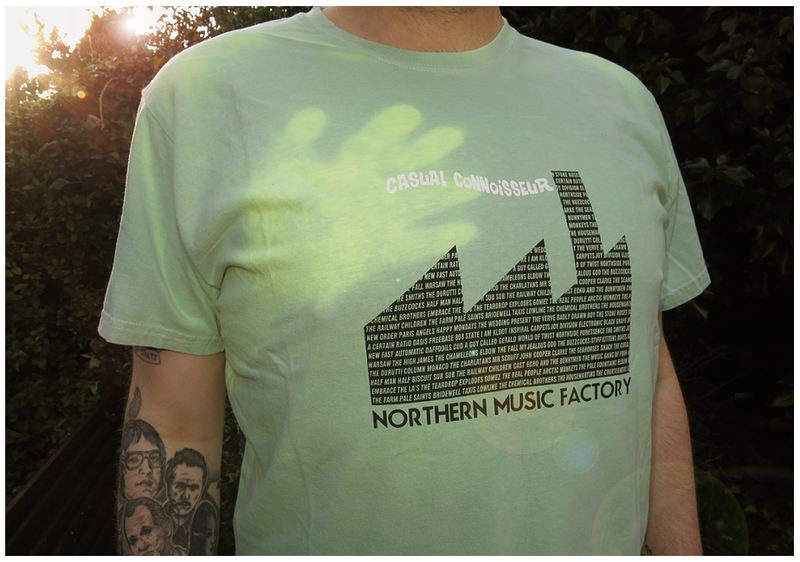 We've got Green tees that go Yellow, Blue and Grey that go White and Purple that change to Pink. Technology hey? 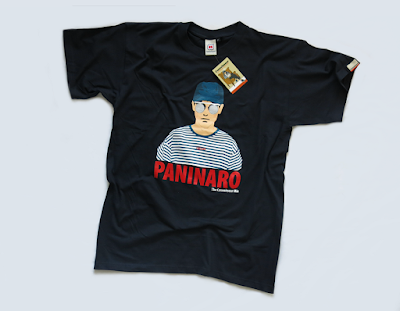 We've always wanted to do a football shirt here at CCHQ, but in all honesty this one kind of happened by accident. 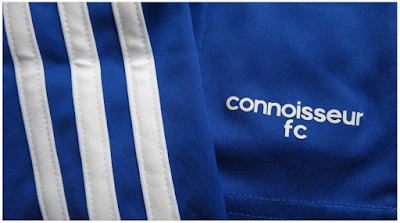 We had them made for a tournament then found out it was sponsored and had their own kits, but the interest when previewed suggest it was worth getting a run done, so we did. Now you have a chance to get your own CC football top, pretend to be Pele or Maradona with your silky skills, or Kevin Francis down the local park scoring another pearler against Burnley. A classic Adidas jersey made with ultra lightweightclimalite® fabric that wicks moisture and keeps the wearer sweat free. Three stripes on the sleeves, which of course are long, as they should be! CC branded logo embroidery And tiny 'connoisseur fc' detail on the hem. 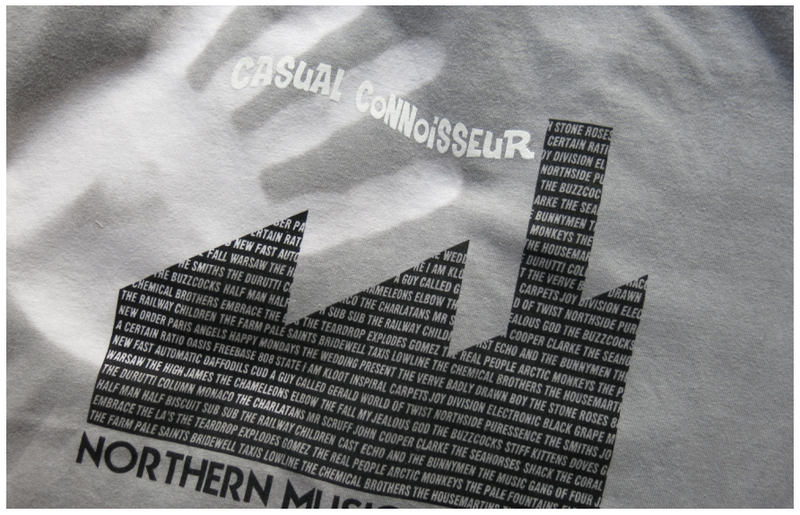 Tomorrow see's a return of two tees, both with Manchester and Stockport connections to boot. 'Bummed' is a nod and inspired from that original album artwork and comes in glorious colours, yep we even got the woman in on there too! 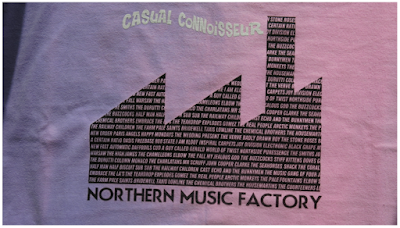 The album was recorded at Strawberry Studios in Stockport. 'Sound and Vision' has another obvious nod, though we can't really talk about that. It is however a play on the iconic image which was an original computer-generated illustration of eighty successive periods of pulses produced at the Arecibo Radio Observatory in Puerto Rico in the late 1960s after it was first discovered. One of the first visuals of sound. Later appearing in several scientific articles and encyclopedias where it gained more attention and became more famous, then used elsewhere too. 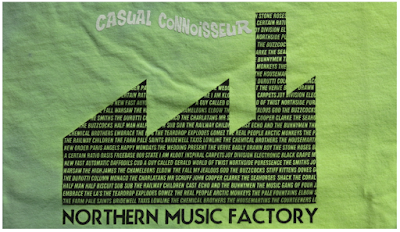 This has been used and done many times is tee form with connections to another Manchester band - However our play on this was to get visual with the artwork and bring a raised 3D print on the Navy tee and a metallic silver ink on the black tee paying tribute to the original source. VILLAIN - FOR COURT, FOR COURTING - HOPPY MONDAYS. Tonight see's the release of our latest 'Villain' hat, the second of a variety incoming of some of the finest, premium head wear a man could don! These one's are made for us in a lighter-weight special linen, by the 'Masters of Linen', no less! It's navy in colour and inspired by everyone's favourite mob uncle, Corrado Soprano. 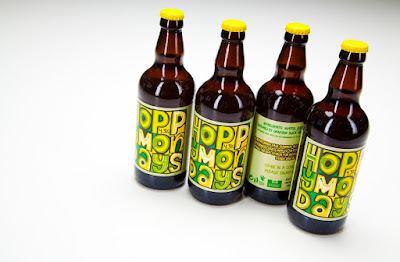 Coming in three sizes and in rather limited numbers! A summery version of the soon to be arriving A/W tweedness. Tomorrow see's the release of our For Court, For Courting tee, which is the second in the series of an ongoing collection of footwear tees, inspired by the old Royal Mail dress code in the workplace posters. More to follow featuring choice footwear of the trainer and shoe variety. 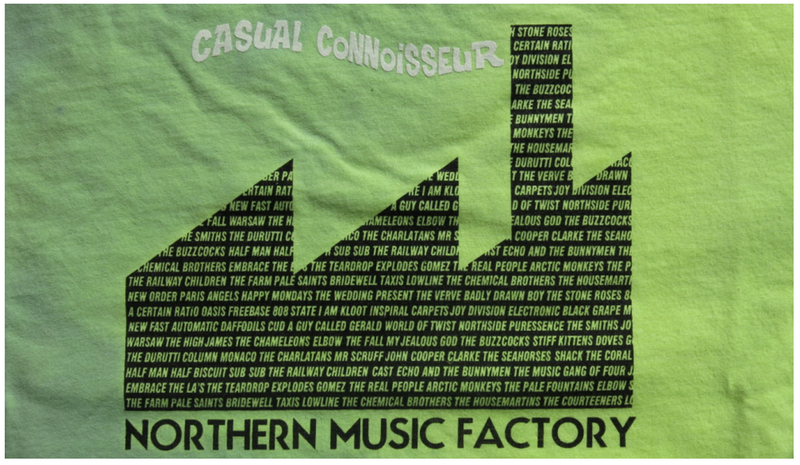 This one features a pair of Indoor Super and Clarks Desert Boot. 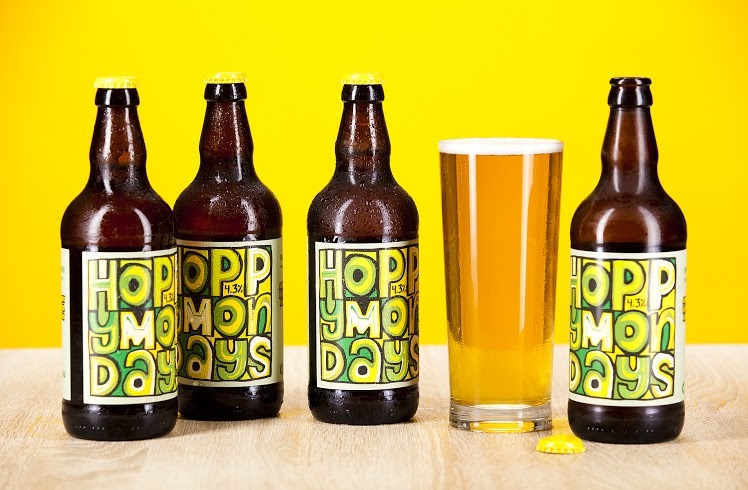 Thursday finally see's the release of our ale, Hoppy Mondays, after a slight delay whilst licensing was sorted, now is the time. Yes we've always wanted to produce an ale and we teamed up with our mates in Soho Weekend Offender and Dancing Duck Brewery to brew a rather splendid bottle of hops mad goodness! 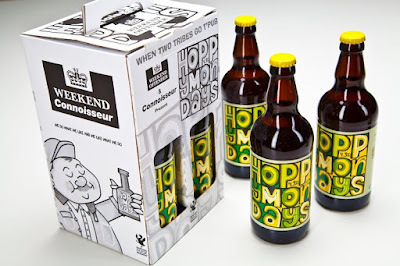 The beer will be available in special 4 pack gift packs and will be sold directly from the Weekend Offender website, (they've got the logistics and team in place you see). We're excited and proud, we hope you will be too.